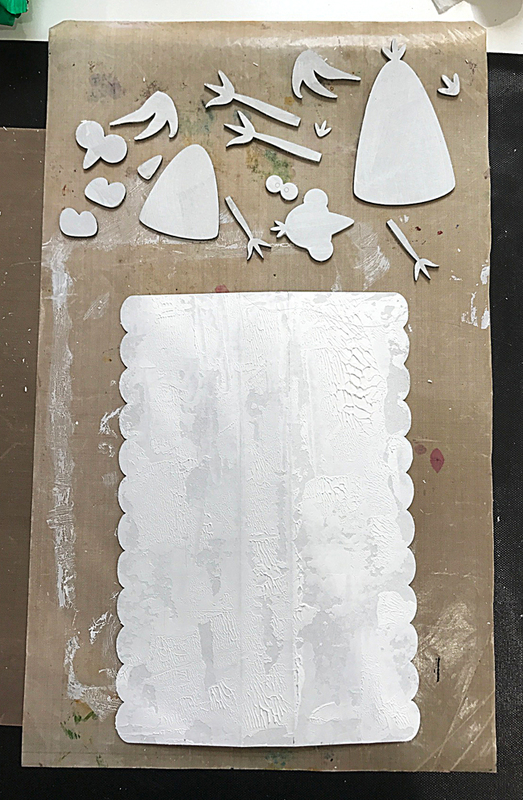 I've been sitting on this news for a little while but I'm really happy to announce that I am joining the Tando Creative Design Team and will be working with the fabulous Tando greyboard, acrylic and mdf products as well as continuing with demonstrating and teaching make and takes at the Mixology retreats and I'm so looking forward to it. 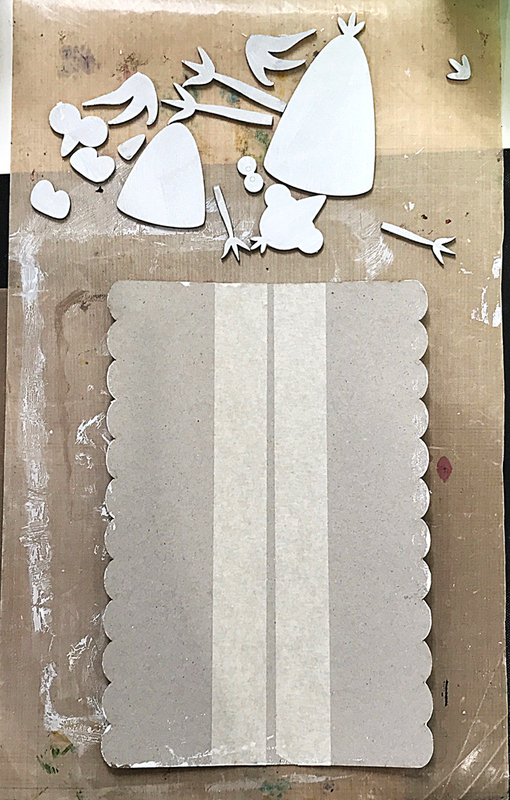 So much so I recently attended one of Di's workshops at Let's Be Creative and made a new journal with her. 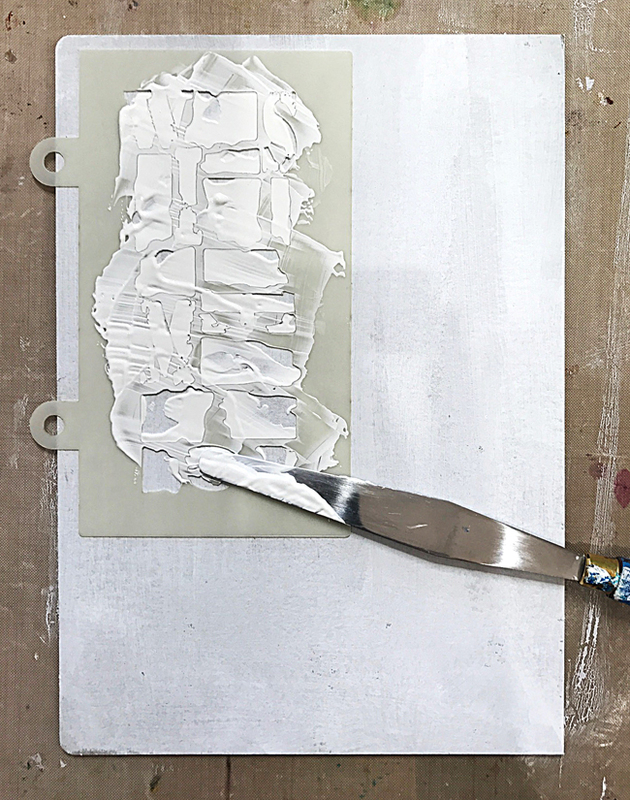 I took a few pictures at the beginning of the process but then the concentration and the enjoyment of just sitting and making took over and the camera for forgotten. ..... keeping them to brown/black neutral colours. Once everything was painted I assembled the journal - and here you can see the front, back and spine. 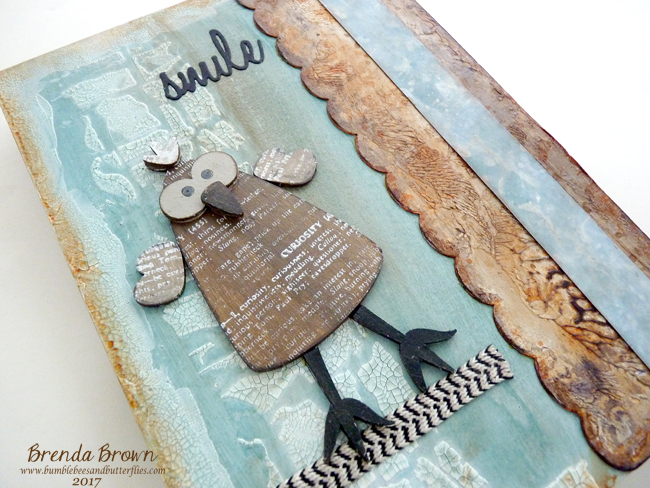 It was a fabulous day and although these cute birds are not normally my style I wanted to play outside my comfort zone and loved the finished effects of the painting and stamping on them using the DecoArt media acrylics. I wonder what else I will come up with with Di's products?????? We'll have to wait and see. 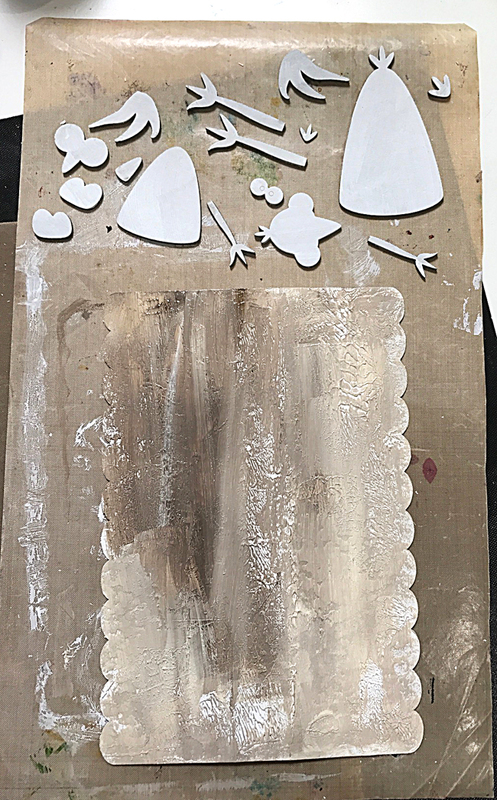 If you haven't visited the Tando Blog do pop over to see this journal and stop awhile to see lots of other fabulous inspiration. Your journal is so lovely. I really love those birds! Those birds are so much fun, and I love all the techniques and ideas here. A fabulous journal (great colours), and lots of inspiration as always. Brilliant to see you joining the Tando team - you'll be a treasure to them, no doubt. I'm sad I can't make the April Mixology (Andy and France and you into the bargain... what a treat)... I'll be the wrong side of the Atlantic again by then. and big congrats on the new DT job! You are such an artist! Super! Congratulations, Brenda! Your journal is amazing. Love the cover. That's wonderful news Brenda, congratulations. 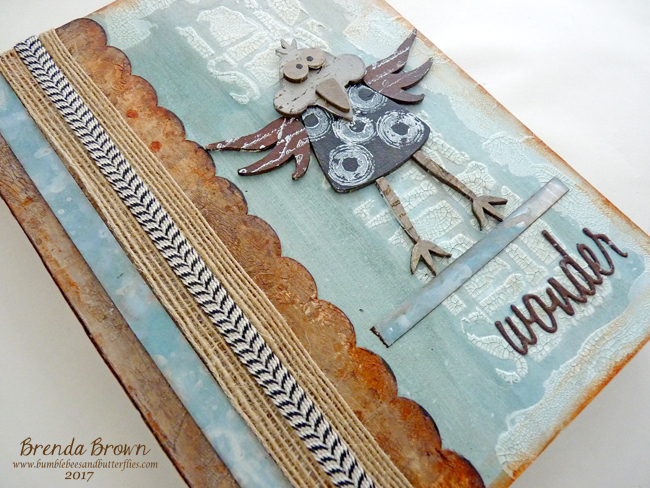 I love your journal especially the quirky bird. Looking forward to seeing all your new beautiful creations! This is an awesome project as well. Congratulations on your new position with Tando! I can't wait to see what you will create! 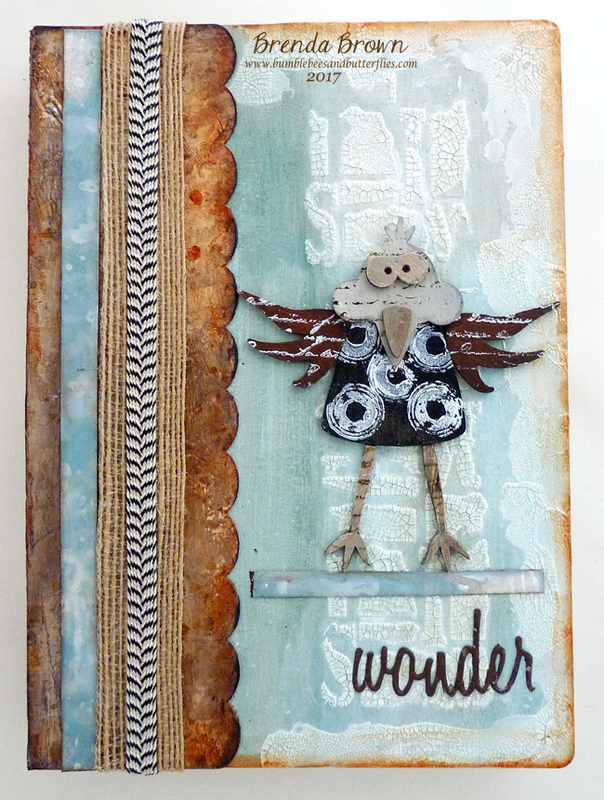 Your journal is adorable; quite out of your usual, but the birds look fabulous on that textured journal cover! Hugs! Congratulations on joining the Tando team. Love the journal cover. Thank you for sharing this. Fabulous news Brenda and I am over the moon for you !!! You will be the most marvellous addition to their DT and I look forward to viewing your makes. 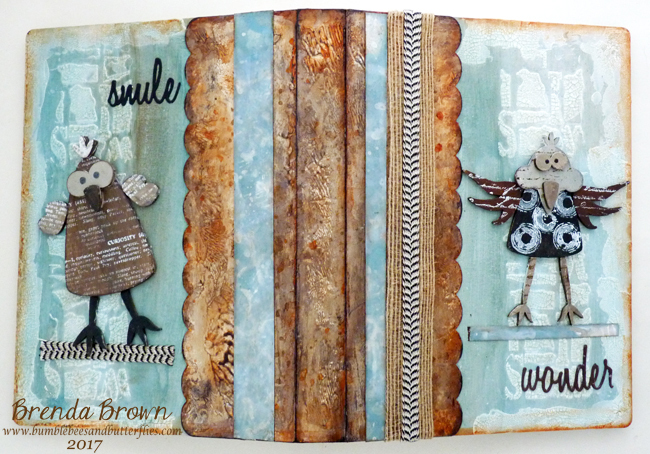 Your journal is just fabulous and I love those super quirky birds !!! real cute !! 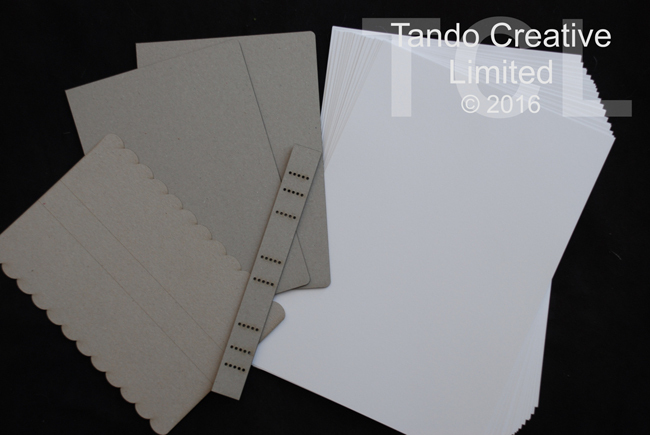 Congratulations on joining the Tando Team, and such a fabulous journal for your first project. Those little birds look so cute. Huge Congratulation my friend!! I am so thrilled for you Brenda! I absolutely know you will make a great asset to the Tando team and they are so lucky to have you!! 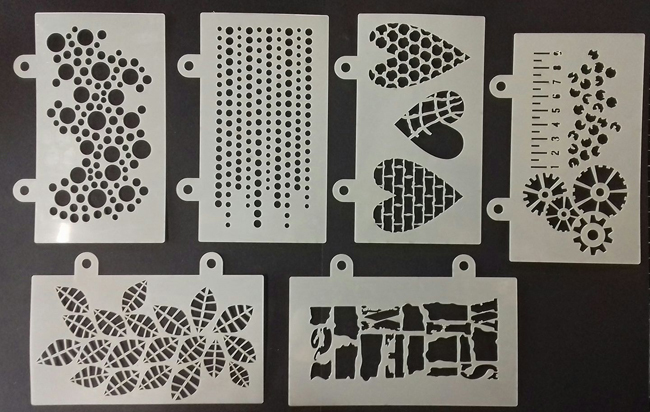 And as well, we are lucky to be able to see how you create with all of those awesome Tando products! Super first project- your journal is awesome!! hugs and best wishes Brenda! 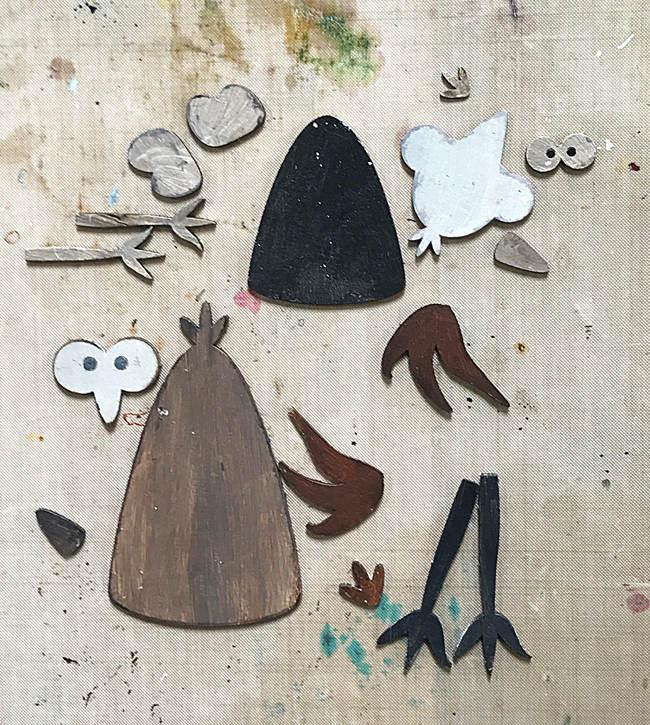 Great pproject , you really made a beautiful creation with the fanny birds , I love the way you did this project, you are really a talented lady and makes always beautiful art!! Slap my hands and sit me on the naughty step - I am so sorry Brenda I genuinely thought I had left a comment on your exciting news! I hope you will forgive me as I rectify that right away . 'Huge Congratulations' On your new DT position with Tando Creative. Absolutely thrilled for you and am so looking forward to seeing all your creativity with them. Your journal is fantastic and shows why they chose you to join them - They obviously know know talent when they see it .